not ready to close her eyes. I grew up a city girl and went to sleep to the sounds of cars, neighbors, and siblings. When I moved to our little farm several years ago, the night sounds were a little spooky at first. I could hear deer walking under my bedroom window, toads singing to each other, and hundreds and hundreds of crickets! Once I got used to these noises, I began to look forward to them every night. That’s where the sounds from this book came from — my backyard. The character is based loosely on my niece, Reese, a little girl who really knows how to get cozy and who is very good at entertaining herself. Reese’s dad, Ben, wrote the tune for this book for me! 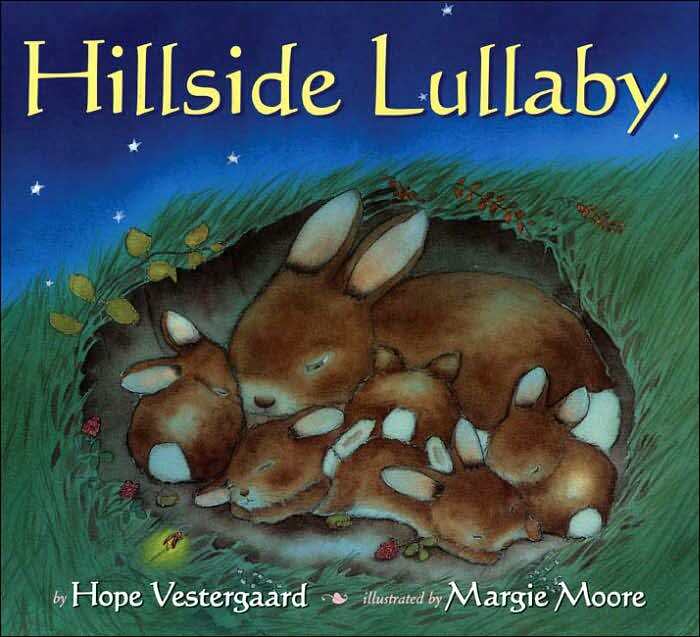 You can download a personal copy of the Hillside Lullaby song. (File size: 4.28 MB) Music by Ben Hill, performed by LaCretta Ross. Click this link: Hillside Lullaby Song to listen to the MP3 file.